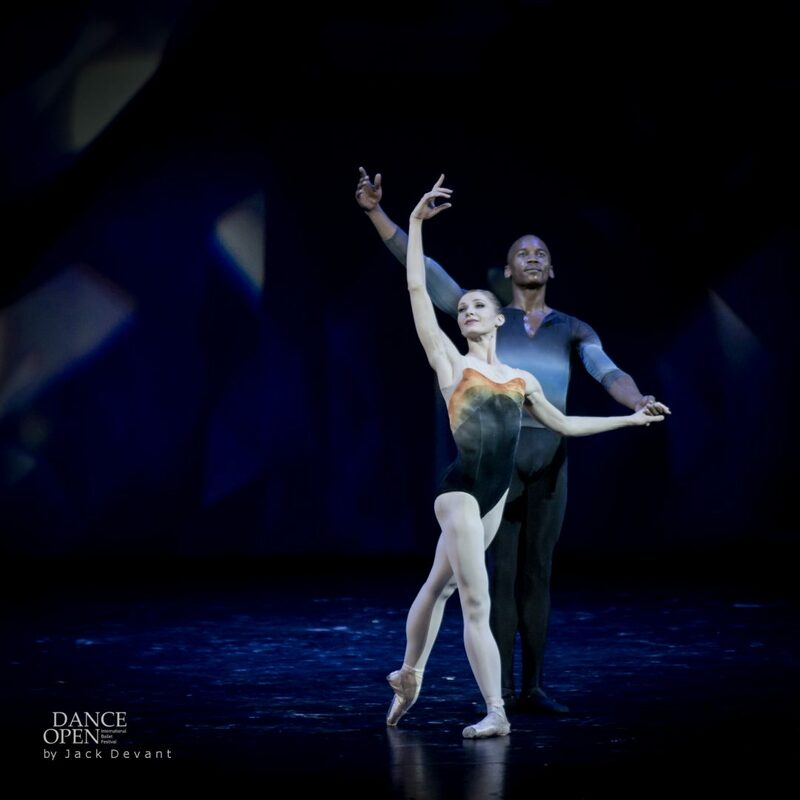 Melissa Hamilton and Eric Underwood in Tryst Pas de Deux, music by James MacMillan, choreography by Christopher Wheeldon. Dance Open 2015 Gala Concert, shot on 27.4.2015 in Alexandrinsky Theatre, St Petersburg. Christopher Wheeldon, born 22 1973, is an English international choreographer of contemporary ballet. Wheeldon began training to be a ballet dancer at the age of 8. He attended the Royal Ballet School between the ages of 11 and 18. In 1991, Wheeldon joined the Royal Ballet, London; and in that same year, he won the Gold Medal at the Prix de Lausanne competition. In 1993, at the age of 19, Wheeldon moved to New York City to join the New York City Ballet. Wheeldon was named Soloist in 1998. Wheeldon began choreographing for the New York City Ballet in 1997, while continuing his career as a dancer. He retired as a dancer in 2000 in order to focus on his choreography. In 2001, Wheeldon became the New York City Ballet resident choreographer and first resident artist. He was productive in this position, choreographing a number of much lauded works for the troupe, Polyphonia being the first. He quickly developed a reputation as a talented choreographer, and several other eminent ballet companies, such as the San Francisco Ballet, the Bolshoi Ballet, and the Royal Ballet, London have commissioned dances from him.